Marie Callender’s takes me back to my childhood. 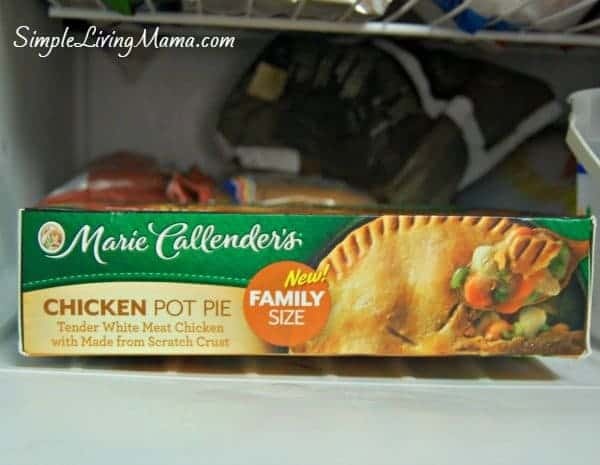 When I was a kid, my grandparents always had Marie Callender’s meals in their freezer for us hungry grandkids to eat whenever we felt like it. 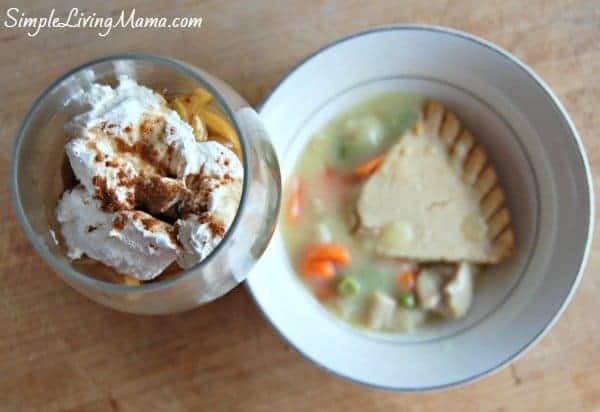 Chicken pot pie is one of my husband’s absolute favorite meals. Marie Callender’s pot pies take the work out of preparing the main meal for me. I decided I wanted to whip up a yummy, warm winter dessert to go with our chicken pot pie dinner. I chose simple, yet delicious warm sugar cinnamon apples, and that was the perfect match to the chicken pot pie. 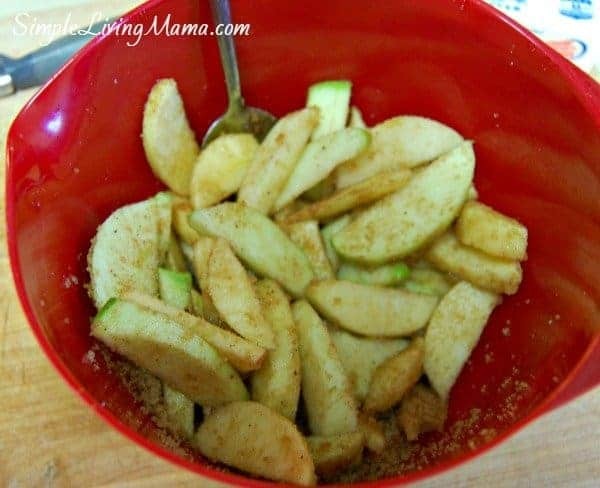 Let’s talk about how to make the cinnamon sugar apples. First, pull your Marie Callender’s chicken pot pie out of the freezer and pop it in the oven to bake. Meanwhile, gather your ingredients. This list could not be simpler. You need cinnamon, nutmeg, 3-4 apples, brown sugar, and butter. 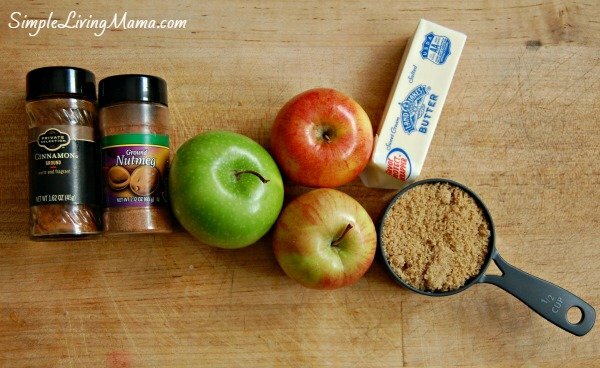 Toss your apples with 1/2 cup brown sugar, 1 tsp. cinnamon, and 1/2 tsp. nutmeg. Melt the butter in a skillet over medium-low heat (cast iron is the best). Add the apples and 2 tbsp. water. Let the apples cook until soft. Should be about 10-15 minutes. Stir occasionally. 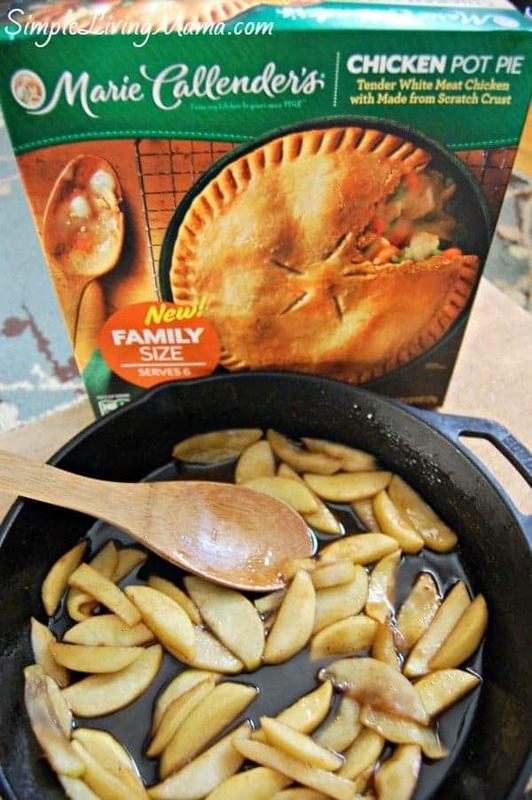 Yum, skillet apples paired with chicken pot pie, yes please! Now, let’s fancy that dessert up a little bit. 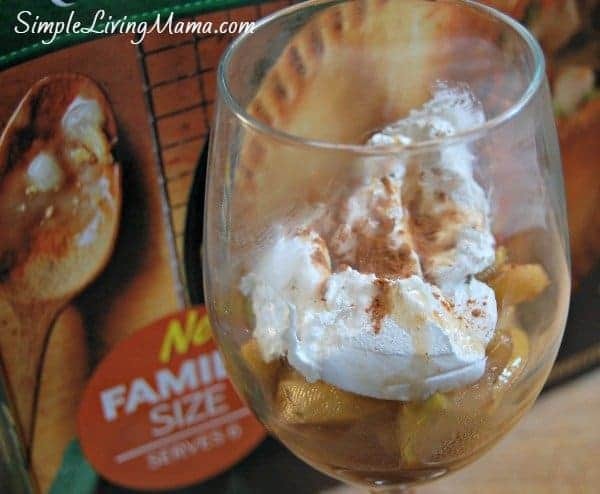 Serve it in a nice glass and top with whipped topping and extra cinnamon! Easy, pretty, and yummy! We love our chicken pot pie and our cinnamon sugar apples! While I love to cook from scratch, there are times I just want to pull a meal out of the freezer. Especially now. I’m due to have a baby in a few weeks and the thought of assembling a pot pie is too daunting! I also like having a few of these on hand for after I have the baby. Easy meal for the hubby to prepare! 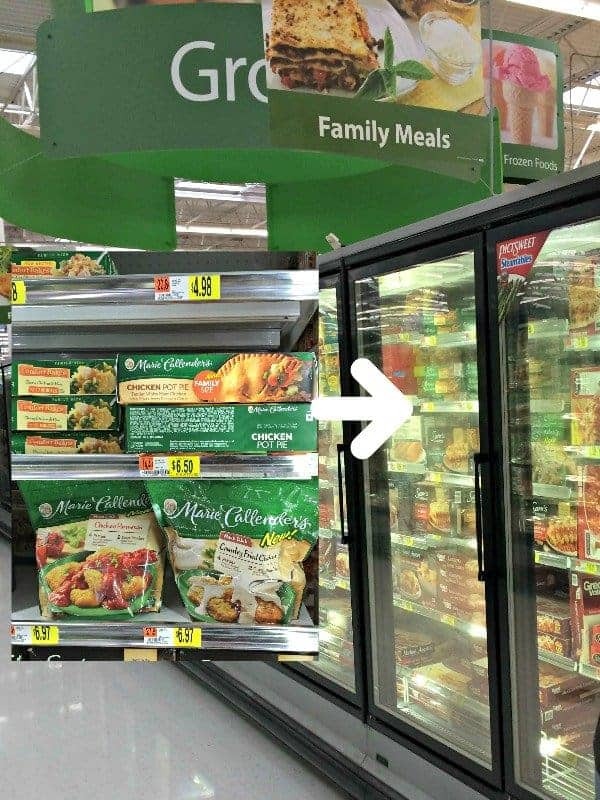 You can easily find Marie Callender’s pot pies in the frozen section at Walmart. You know what else is awesome about Marie Callender’s? Their Comforts from Home program. Every time you enter a code from Marie Callender’s packages, they will make a donation to USO2GO. 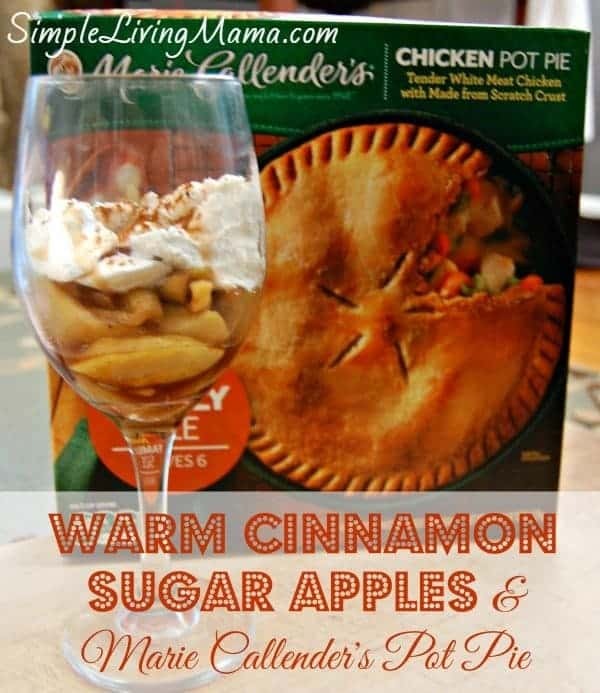 You can learn more about Marie Callender’s pot pies (there are a variety of sizes and flavors) and also find even more delicious recipes! Don’t forget to stop by Marie Callender’s Facebook page! 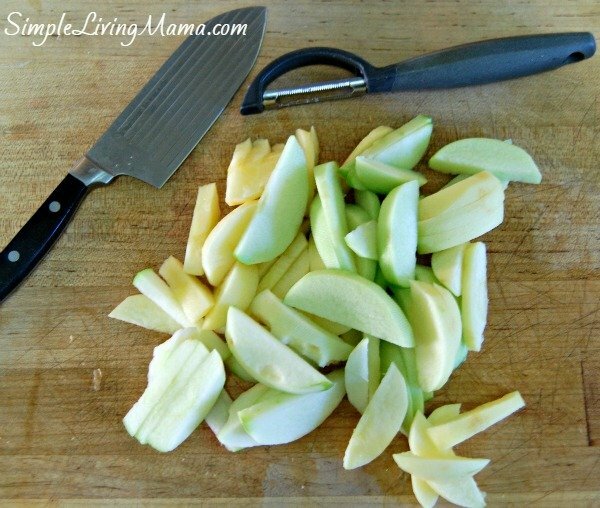 In a bowl, combine apple slices, cinnamon, sugar, and nutmeg. Add apple mixture and water. 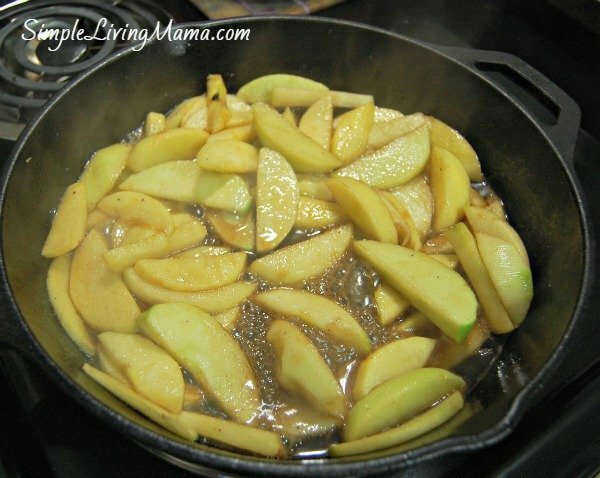 Cook over medium low heat for 10-15 minutes, or until apples are soft. Serve with whipped cream and extra cinnamon if desired.